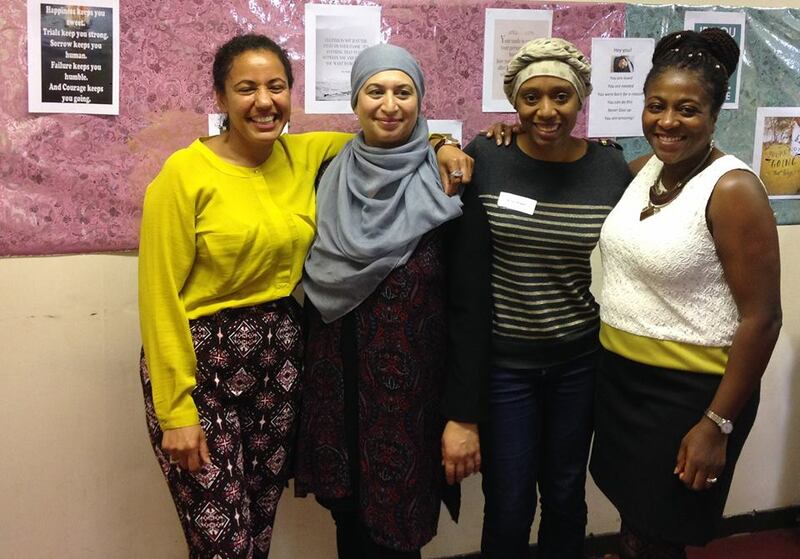 The programmes are designed for women from all backgrounds, ages and stages of their lives, creating more positive and active communities, shaping the neighbourhoods together. 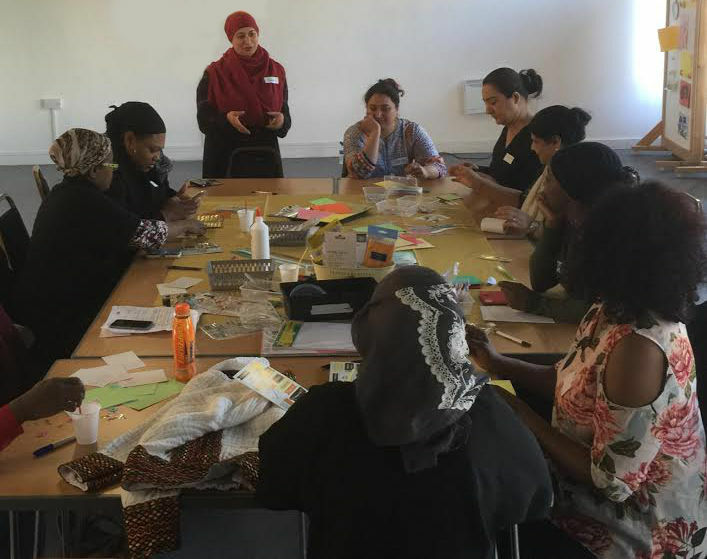 All our projects are helping local women to develop their own ideas and shape projects We evaluate all our programmes to ensure they demonstrate social impact. This course is both designed and delivered by the trainer. It has a proven track record of improving confidence levels, shifting negative thought patterns and inspiring change. 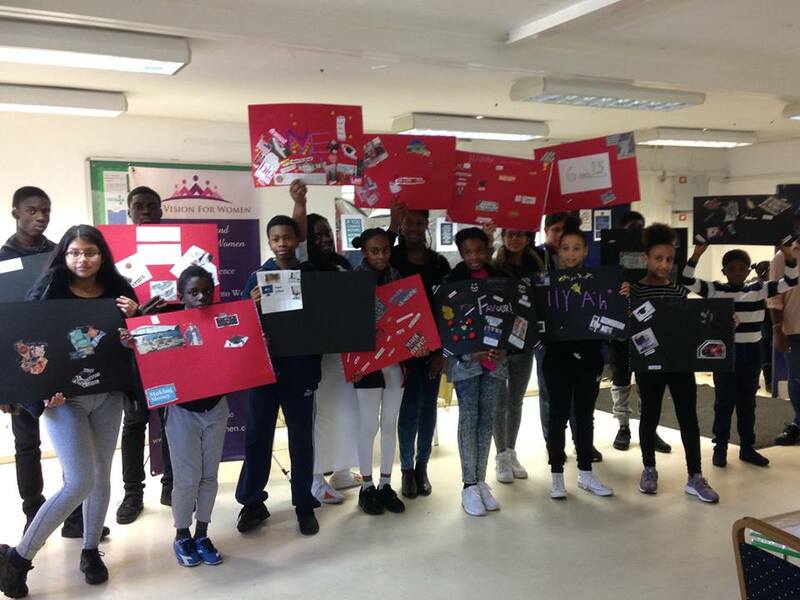 Aims: to provide participants with the skills and knowledge to improve their self-belief, self-worth, self-esteem and self-confidence. This course is both designed and delivered by the trainer. 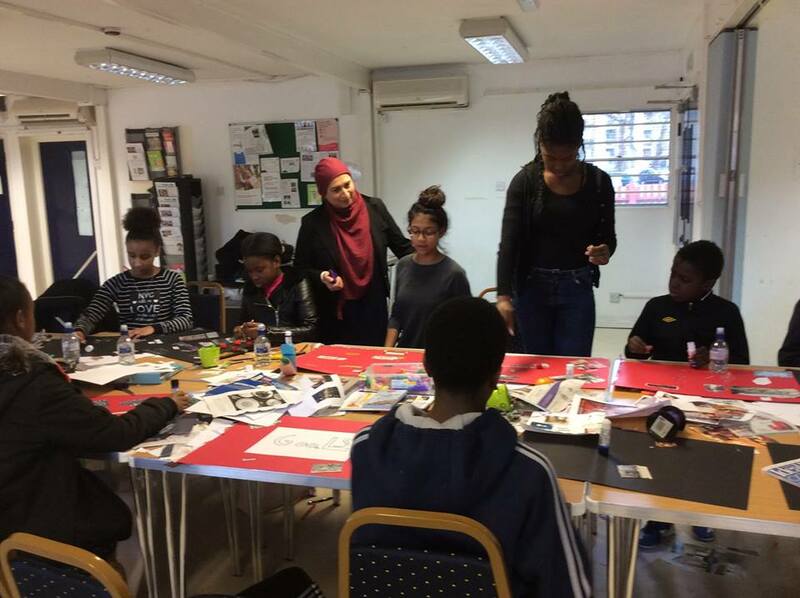 It has a proven track record of getting people into jobs, shifting negative thought patterns, inspiring change and boosting confidence.Aims: to provide participants with the skills, knowledge and confidence to go for the jobs they are passionate about and to be ready to enter the workplace successfully. CV writing, Interview skills, presentation and appearance. This course is both designed and delivered by the trainer. It has a proven track record of improving skills to manage budgets, generate ideas for wealth creation, set financial goals and avoid debts. Aims: to manage money for a debt-free life. This course covers a variety of topics around managing our health, the busy lifestyles we lead, ways we can stay fit, and how to become emotionally happy and content. It includes: Emotional Health, Mindfulness, Keeping Well Under Stress, Healthy Eating, ideas and recipes, understanding food labels, shopping alternatives and healthy choices, Physical Health, stretch & tone and a Pampering session. A vision board is a visualization tool. It refers to any sort of board used to build a collage of words and pictures that represent your goals and dreams. By placing visual representations of your goals into a single space, it’s easy for you to visualize them frequently. The best way to achieve your goals is to keep them fresh in your mind, so you can always be looking for ways to move yourself closer to them – and a vision board is the perfect tool to help you do that. 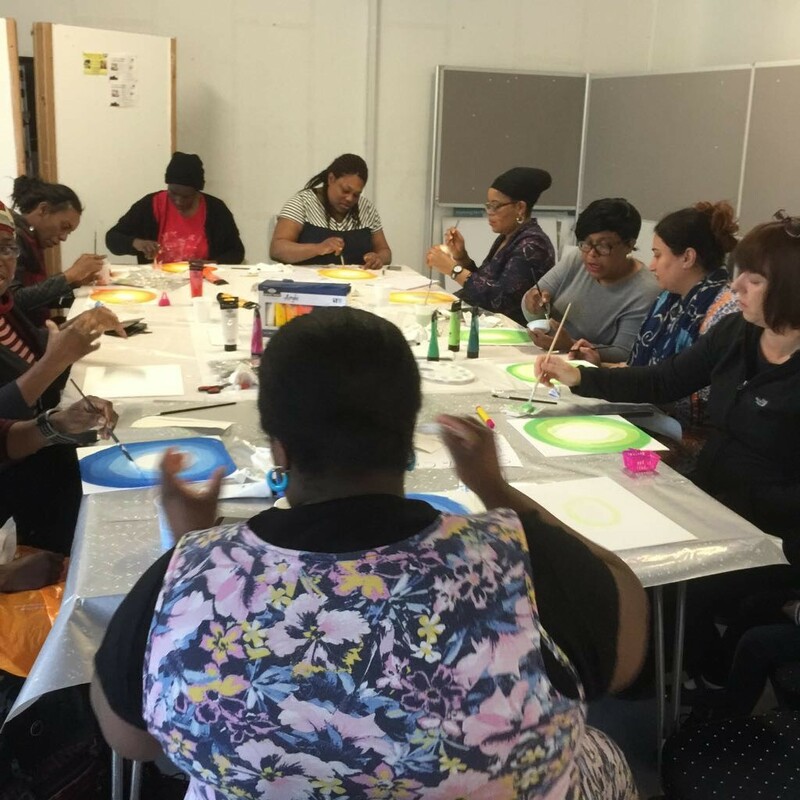 The programme is for women of all abilities and provides a relaxing environment for discovering the joys of the creative process. Crafting is a wonderful distraction from some of the worries in life. Making pottery or jewelry, crocheting, sewing, painting, knitting, beading, or any of the many other forms of arts & crafts, women gain a sense of satisfaction and accomplishment once project is completed. 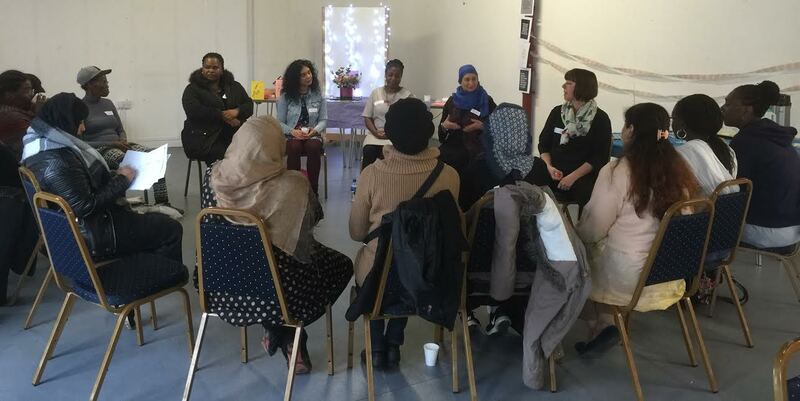 This is a place where all community women from all backgrounds are welcomed in a safe environment to socialise, engage and share their experiences with each other, having the freedom to discuss any of their concerns over a cup of tea or coffee with their young children.